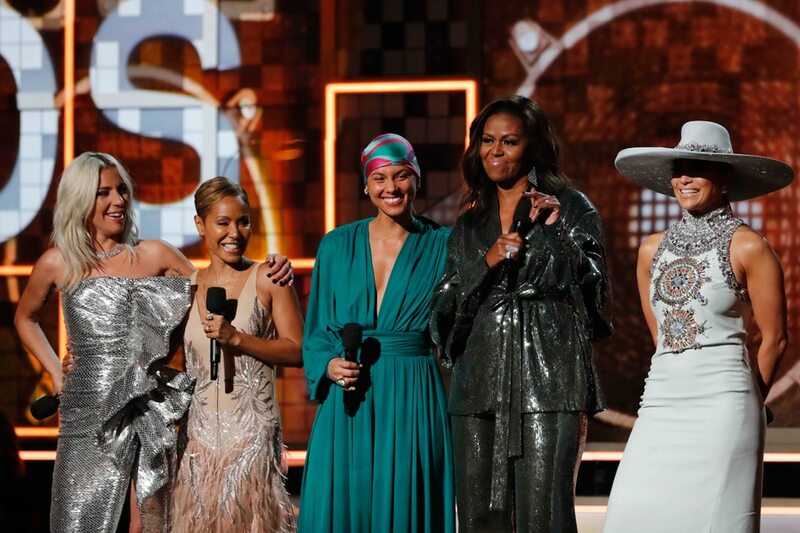 Former US first lady Michelle Obama made a surprise appearance during the opening address at the 61st Grammy Awards in Los Angeles on Sunday and was met with a standing ovation from the star-studded crowd. "From the Motown records I wore out on the Southside to the 'Who Run the World' songs that fueled me through this last decade, music has always helped me tell my story," Obama said, referring to the Chicago neighborhood where she grew up. Obama is currently touring to promote her memoir "Becoming," which was released in the United States and in 28 languages around the world. She and her husband, former U.S. President Barack Obama, signed deals for a book apiece with Penguin Random House a month after Obama left office in January 2017. "Whether we like country or rap or rock, music helps us share ourselves, our dignity and sorrows, our hopes and joys," Obama said. "It allows us to hear one another, to invite each other in."